Twitter is one of the technological crazes that are taking over the world. It allows people to broadcast short messages with the use of a computer or a mobile phone. Prior to twitter, texting is the means of choice for sending short text messages. Probably the most well-known difference between the two is their respective character limits; twitter is set at 140 characters while texting is at 160 characters. There are ways to circumvent these limitations though; the most popular of which are abbreviations and textspeak, which aim to express as much thought while reducing the number of characters being used. When looking at a text message and a tweet, you would easily notice that tweets often have characters like # and @ in them. These are hash tags and are used to specify keywords or to indicate users. Each character has its own meaning and function. The hash tags also make the tweets more searchable with the use of a search engine. Texting does not have this capability. 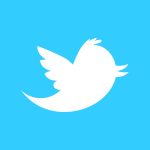 Twitter is a web service and it is virtually free as long as you have access to the internet. On the other hand, texting is a service provided by the mobile phone company, and texting would result in additional charges to your phone bill. As a web service, twitter was initially intended to be accessed via a computer and a lot of people still do. That is in contrast with texting which is done on mobile phones. The statements in the previous paragraph, although still largely true, do not mean that exclusivity. Texting has crawled over to the Internet with some companies offering call and text services over the web. These services provide lower charges for international texting as they circumvent the tolls that are imposed by telecoms. On the other hand, twitter has also gotten a hold of mobile phones. At first, it was just with smartphones that are able to browse the internet. Twitter’s popularity made it profitable for telecoms to provide text to twitter services that allow a subscriber to use texting to send tweets. Ben Joan. "Difference Between Twitter and Texting." DifferenceBetween.net. June 21, 2018 < http://www.differencebetween.net/technology/internet/difference-between-twitter-and-texting/ >.